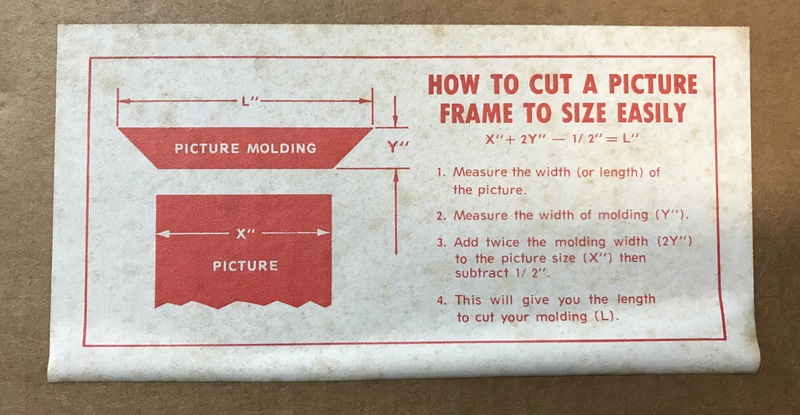 Under the box lid of a Sears Craftsman 45° miter cut-n-clamp set, which was produced in the 1960s. 3 Add twice the molding width (2Y) to the picture size (X) then subtract 0.5. Then you can do the same thing for the opposite dimension if your picture isn’t a square.